Looking for an effective way to market your Lakeland, Florida, business? 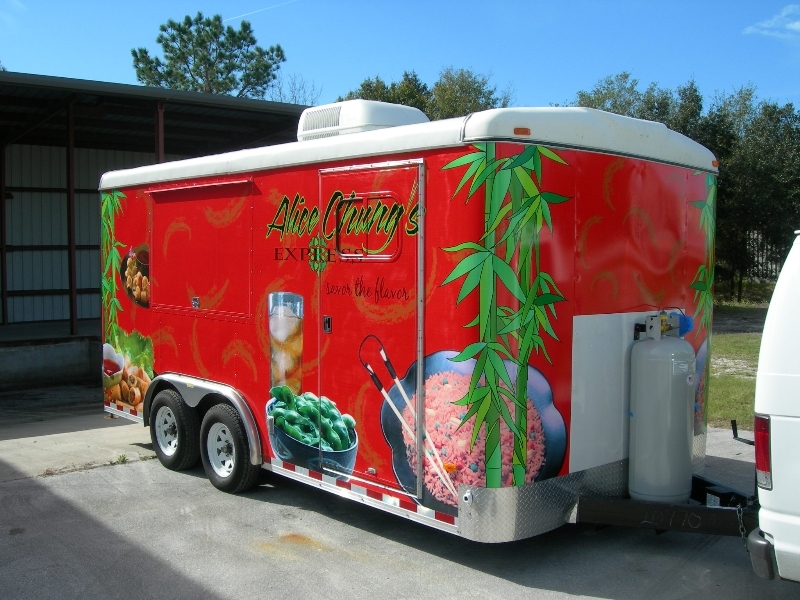 Consider trailer wraps from Graphic Installers! 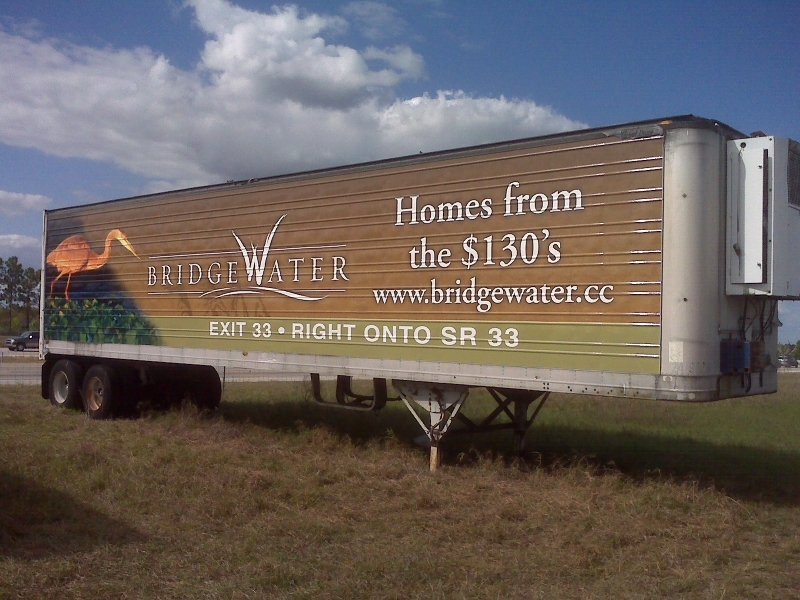 If your business has trailers that travel all over the state or country, the easiest and most cost-efficient way to advertise is by adding trailer wraps. 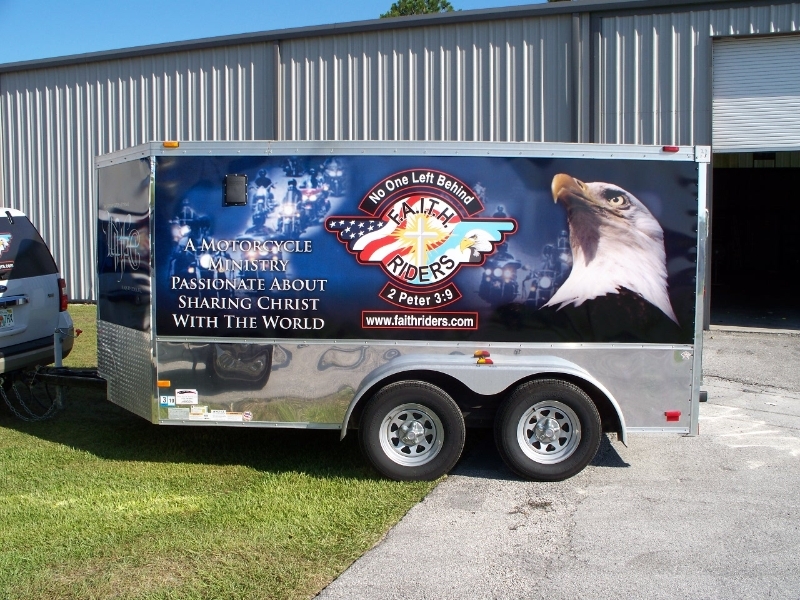 A trailer wrap is a unique and customized design that covers an entire trailer and becomes a moving billboard that thousands of different people can see on a daily basis. 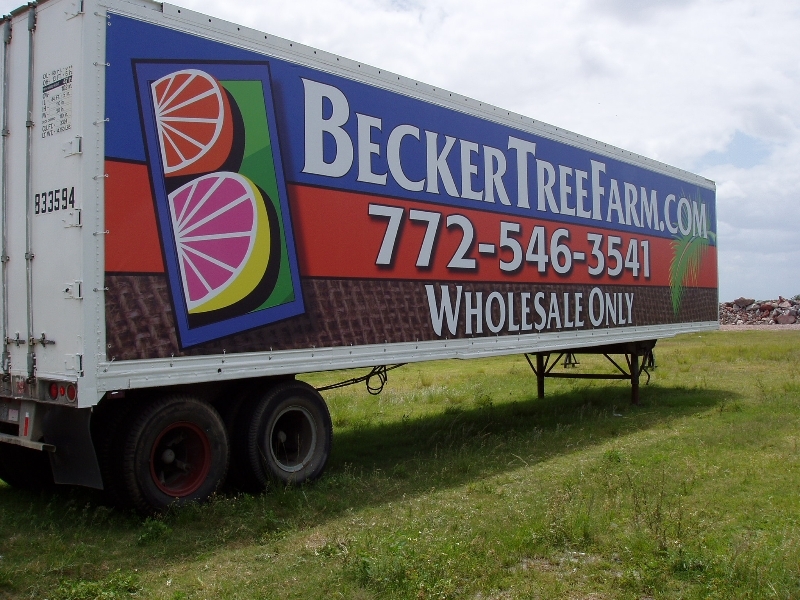 Trailer wraps are becoming one of the most popular ways to advertise, since you can pay a one-time fee and market your business for years to come. In fact, a study conducted by the American Trucking Association found that more than 90% of people will notice pictures and words when displayed on a vehicle. 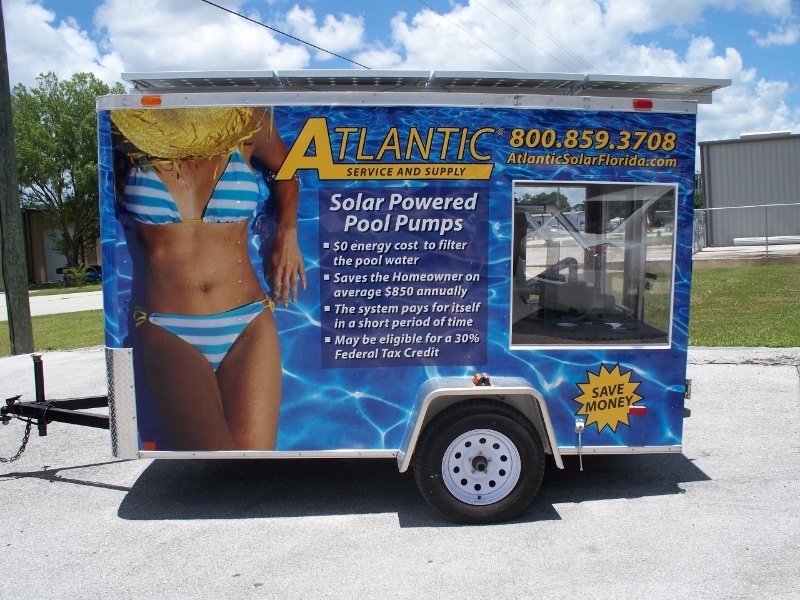 Graphic Installers offers competitive pricing for trailer wraps. Our office is located in Lakeland, Florida, but we can create and manufacture a custom design for clients all across the USA. We have a team of graphic designers who can create a design for your business that is one of a kind, and we will work with you every step of the way to make sure you are satisfied with your finished product. 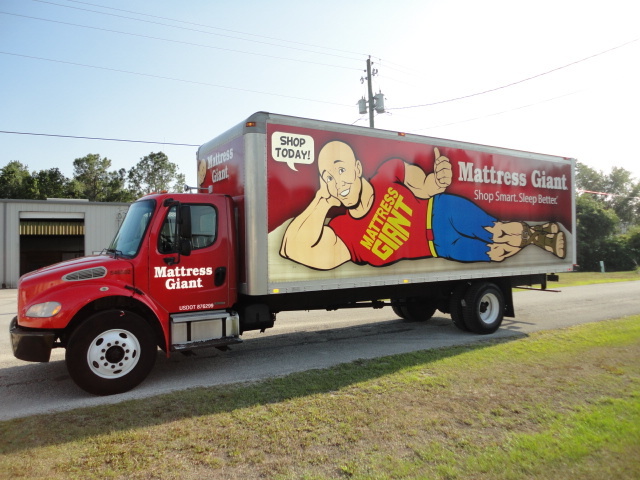 In addition to trailer wraps, we can also create custom wraps for a variety of vehicles. If you have an RV or motorhome that you take around to community events or trade shows, add your brand and really stand out! At Graphic Installers, we offer excellent customer service and will create a unique design that fits with your business. We can also create an endless number designs for your car, boat, RV, and trailer so that each of your vehicles is a marketing opportunity for your company.